The first item purchased was that ottoman - love all those fun colours! Vintage dresser - little white paint, cute knobs...voila! 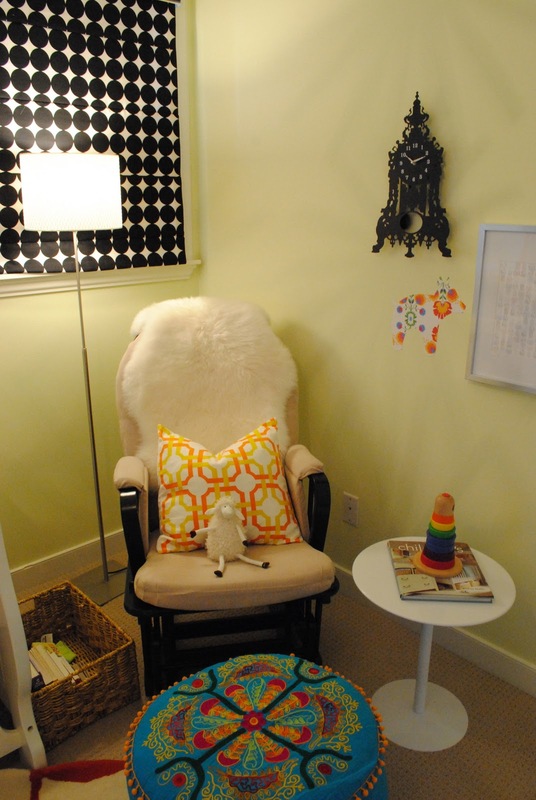 Our cuddle zone :-) I'm not a fan of the rocker, but a sheepskin and funky pillow help. So cute! I love everything! You did a fabulous job! 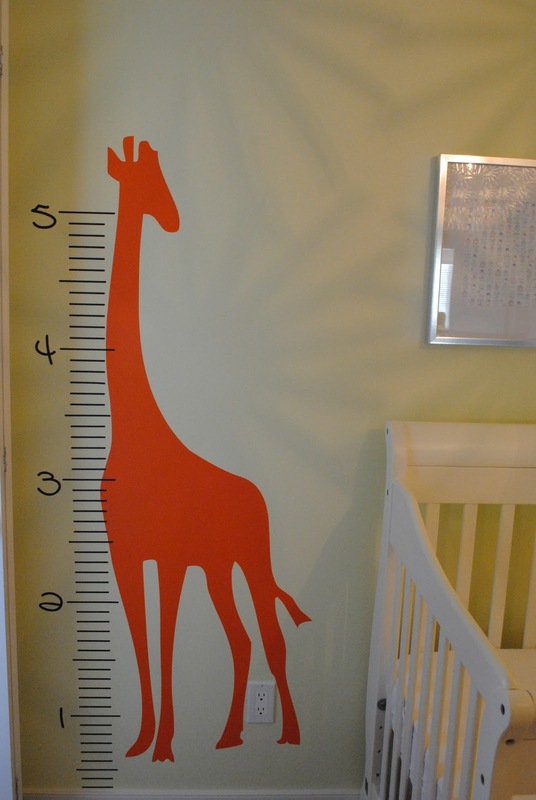 The giraffe growth chart is adorable! 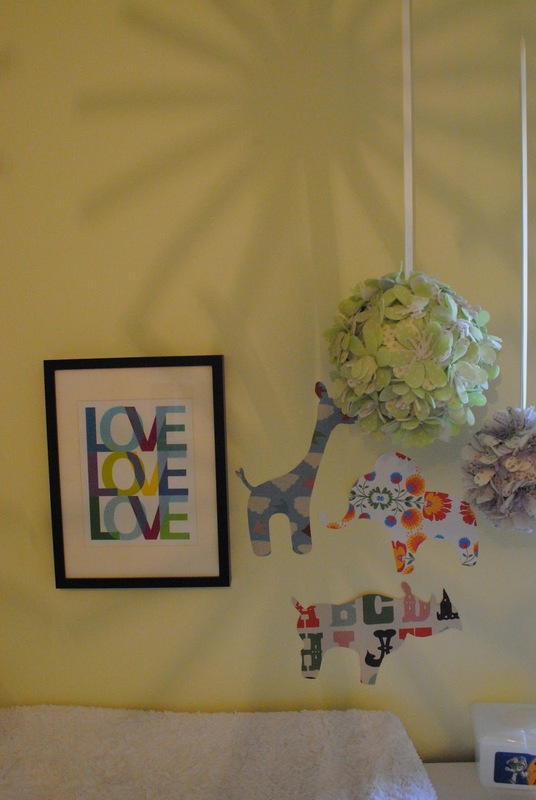 I love the eclectic mix in little P's nursery!!! 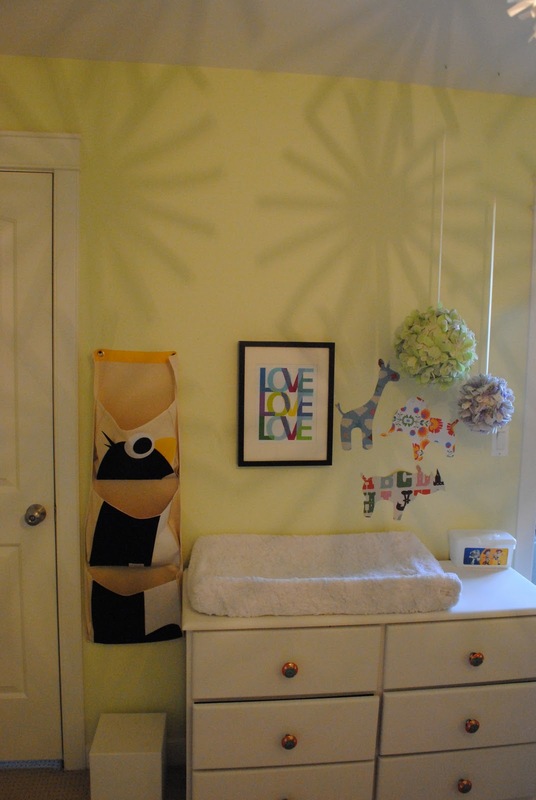 The giraffe height chart is awesome, as is the ottoman!! Happy holidays! !